This afternoon, the whole family was able to go up for the first time together. It took about 30 minutes to get everyone loaded into Piper Warrior N64TZ for just a 30 minute flight. Did a little sightseeing to see if everyone could handle it. 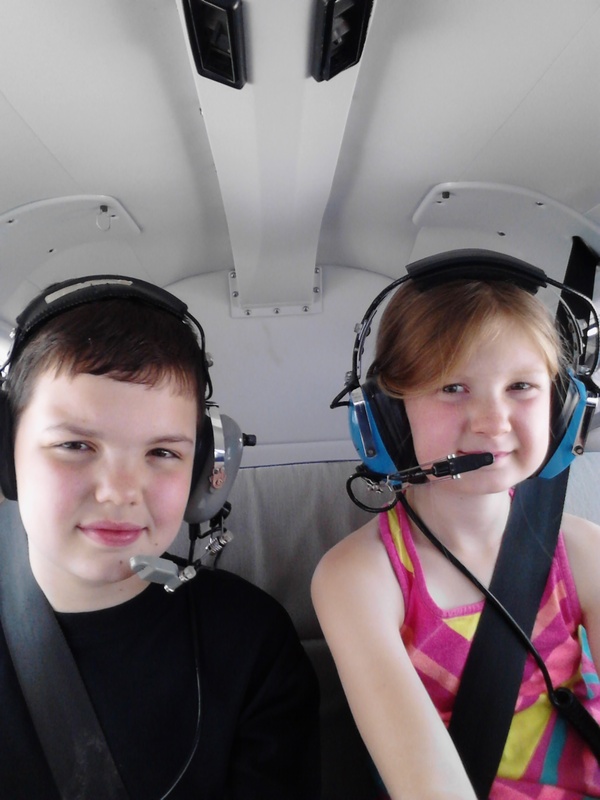 It was Liani’s first time in a small general aviation airplane. She did fine. No motion sickness or anything, but we had some problems with her and the kids’ headsets, so we landed pretty quickly. They all said once the headset/radio issues were resolved, they wanted to fly longer. That is a good sign.